Description: Wrought iron has become a firm favourite in home interiors - look at curtain poles with fabulous decorative iron finials, or furniture with filigree detailing for inspiration. 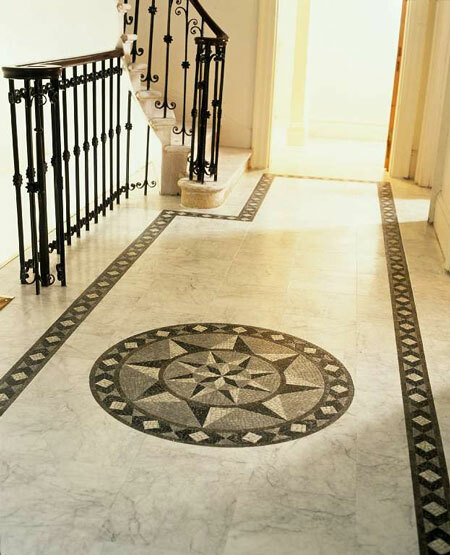 These wrought iron balustrades look great with the Medici Mosaic Motif and Border set into an Amtico Marble floor. Keep your paint colour light for contrast, and there are plenty of wonderful wrought iron light fittings on the market to choose from to finish off the look.